"I would like to say to you and The Florida Bar that attorney Gary is a highly corrupt attorney that is engaged in a conspiracy in my case with the defendants to defraud his own clients for the sole purpose of enriching himself, for which I have undisputed proof..." (Read letter). 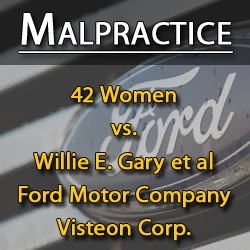 "The question that keeps coming to mind is why attorney Willie Gary is still allowed to practice law. In my opinion, he should have been disbarred and imprisoned years ago for the destruction of lives he has caused. Attorney Gary, in my opinion, is detrimental to the American public and a disgrace to the legal profession. "(Read letter). I am writing to support Leonard Rowe's claims of fraud and conspiracy against attorney Willie E. Gary. 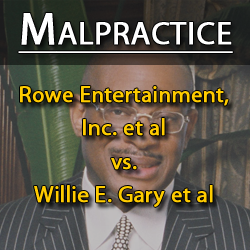 I too am a victim of attorney Willie E. Gary's fraudulent and criminal practices. 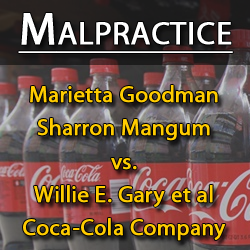 Willie E. Gary (mis) represented me and sixteen other plaintiffs in a 1.5 billion dollar lawsuit that he filed as our attorney against Coca-Cola in 2000, "Goodman vs Coca-Cola, civil action file no 1 :00-CV -1774-RWS in the U.S. District Court for the Northern District of Georgia, Atlanta Division." 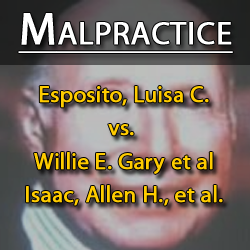 In short, attorney Willie E. Gary solicited 17 original plaintiffs, of an already established class action lawsuit, to opt out and allow him to represent us. As soon as we retained Willie E. Gary, he became unavailable. Mr. Gary held our cases for approximately two years. Within those two years, he and the attorneys that worked on our case at his firm conspired with the defendants and their law firms to file numerous motions, withdrawing several of our claims, all without receiving any of the plaintiffs permission or without their knowledge. Shortly after two years of retaining the Gary firm, he and his attorneys contacted all 17 of us individually via telephone to inform us that he did not believe in our case any longer and that it was not strong enough to proceed forward. All of our cases were eventually dismissed. 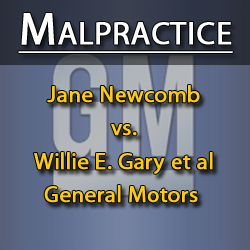 "As a victim of Gary's scam, I unequivocally support Mr. Rowe in the referenced matter...What I've outlined above clearly demonstrates a pattern and practice of criminal behavior in which Willie E. Gary uses his license to defraud his clients. 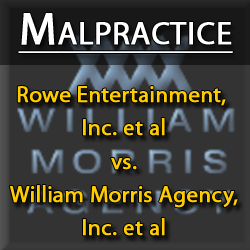 What Mr. Rowe has alerted the Florida Bar to is one example of many clients who have been harmed by Willie E. Gary. Mr. Rowe has presented the Florida Bar with an opportunity to spearhead Willie E. Gary's disbarment for the crimes perpetrated against him. It is my prayer that the Florida Bar will exercise all power within its authority to hold Willie E. Gary accountable for his misconduct and disbar him for life. "(Read letter).